A Chinese antique scroll box. 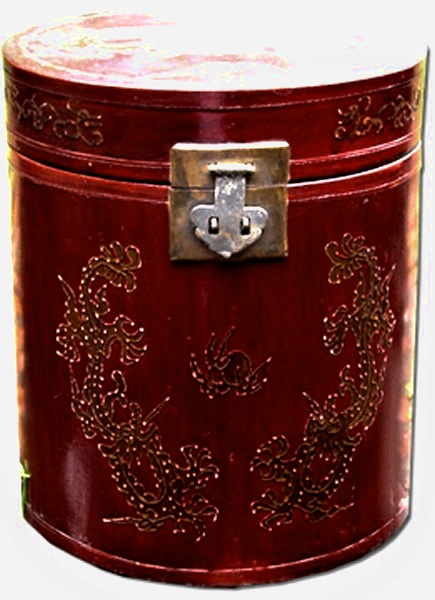 A large leather decorated scroll box from Shanxi in China, and made in the late 19th Century. Free delivey within mainland UK.